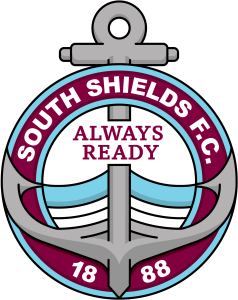 South Shields made it four wins in a row without conceding as they secured a significant 2-0 win over league leaders Team Northumbria. The Mariners were solid from back to front, and goals from debutant Andrew Bulford and substitute Robert Briggs took them up to third in Northern League Division Two. It was Shields’ second win in a week against Team Northumbria, having beaten the North Tyneside club 1-0 last Tuesday in the League Cup. They started the game on the front foot in front of a Mariners Park crowd of 595, and Adam Sakr’s early cross almost found its target, with a visiting defender touching it behind for a corner. Team Northumbria were dangerous when they attacked, though, and their first opportunity came when Daniel O’Reilly made a terrific run through the centre and then found Luke Hannant, who curled over. Shields goalkeeper Scott Pocklington kept the score level on the quarter-hour mark with a terrific triple save with his legs, as he denied Hannant twice and then David Dormand. Hannant headed narrowly over the top as the visitors looked to make the breakthrough, but the Mariners wrestled control of the game. Bulford hit a shot just over the top after a Julio Arca free-kick was punched to him, but on 34 minutes, the striker did break the deadlock. Pocklington launched a ball into the right channel for Sakr to run onto, and he combined with Jonny Wightman before his cross was cut out by Louis Storey. However, Storey’s touch was heavy and Sakr seized control, sending a low cross into the box for Bulford, who controlled, turned and fired the ball into the bottom corner via a deflection off Matthew Lowrie. Team Northumbria started the second half well, with Robert Spence heading over before Pocklington made another fine double save with his body as he denied Joel Bradley. There were few chances of note until the closing stages, when Arca lofted a superb ball over the top for Sakr, who was through on goal, but his touch was too heavy and the chance went. Sakr redeemed himself with a fine run and cross with five minutes remaining, but there was no player there to convert, and Ben Riding later headed wide. Any Shields nerves were settled with three minutes remaining, though, when substitutes Briggs and Stephen Ramsey combined. Leepaul Scroggins headed the ball from the halfway line to Briggs, who lifted it into the path of Ramsey. He did superbly to hold off the challenge of Storey before playing it perfectly back into the path of Briggs, who slotted the ball coolly into the bottom corner from the edge of the box. The cheer which greeted the goal was arguably the loudest of the season, but there was still work to do, with the Mariners determined to record a fourth consecutive clean sheet. Pocklington made sure of that when he held onto a low effort from Paul Antony as Shields sealed the three points to send their fans home happy ahead of Tuesday’s trip to Whickham. SOUTH SHIELDS: Pocklington, Smith (Briggs 71), Curry, Galpin, Riding, Arca, Sakr, Scroggins (c), Bulford (Ramsey 79), Wightman, Phillips. Subs not used: Young, Byrne, Heptinstall. Goals: Bulford (34), Briggs (87).